Happit Partner Cloudriven implemented Peikko Group’s new SharePoint Intranet. The aim for the new global intranet was to develop company’s internal collaboration and communications and to enhance corporate culture across over 30 country organizations. At the same time, Peikko Group wanted to ensure effective employee engagement and adoption of new intranet to reach their goals. “We wanted to renew our intranet, so that we can develop our internal communications and build even more coherent corporate culture. Cloudriven was able to meet our needs and they were able to provide fresh and innovative ways, such as Happit learning solution, to implement our modern intranet”, says Mervi Kainulainen, Communications Manager at Peikko Group. The global organization also recognized the importance of supporting the employees when launching the new intranet to ensure the effective adoption of new technology and working methods. 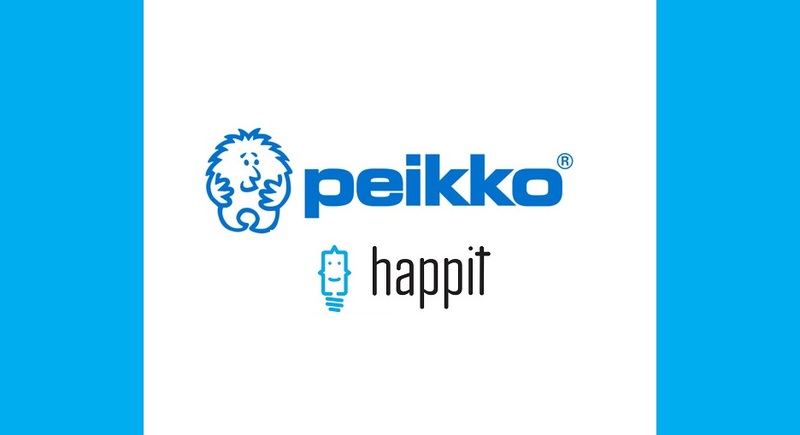 Happit Single Click Learning solutions was a part of Peikko Group’s blended learning solutions that included face-to-face training, Skype training and other training materials. “We focused on providing comprehensive training for our employees. Happit had the important role especially on supporting the employees when the new intranet was launched. It has enabled us to share tips and instructions in the intranet user interface so that our employees can learn instantly” continues Mervi Kainulainen. Peikko Group has established the global intranet site and they are continuing to establish the local sites country by country. The company has been satisfied with the first phase of the intranet project. “Supporting employees on how to use new intranet with Happit contextual training has been a good experience for us. Our employees are happy about the new intranet experience and the user amount are raising all the time.” concludes Mervi Kainulainen.